Jewelry is known as a luxury product. 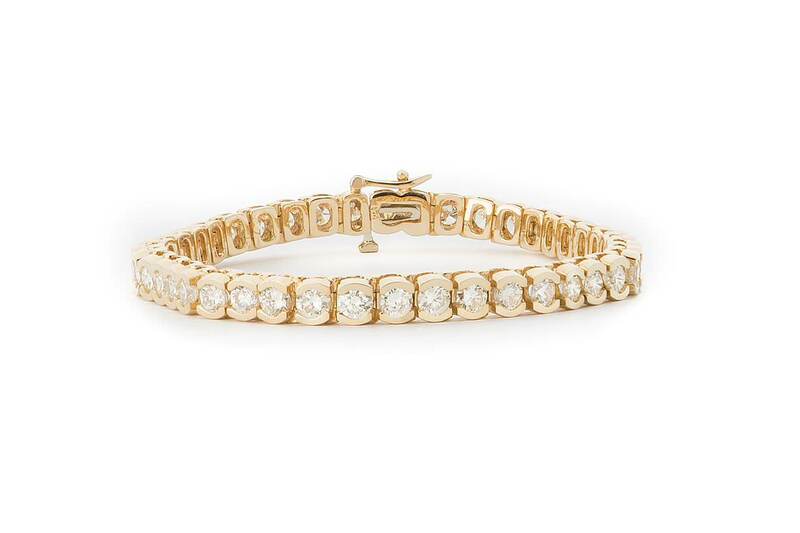 Therefore, when customers want to buy jewelry, they are more careful and pickier than buying other products. Not like spending $20 dollars at Uniqlo to get a T-Shirt, jewelry will cost them hundreds even thousands dollars. As a jewelry seller, you have to not only know how to sell jewelry, but also how to maintain the relationship between you and your clients. Take Tiffany & Co as an example. The website is very neat and clean. 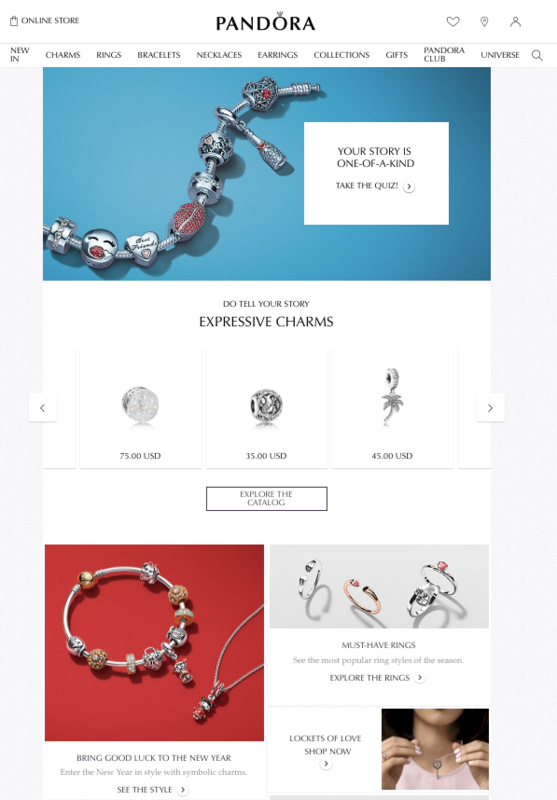 They choose to use bigger jewelry photos on the home page, so the visitors can easily find out that they are selling jewelry. In addition, their jewelry photos are all very high-qualified and clear. 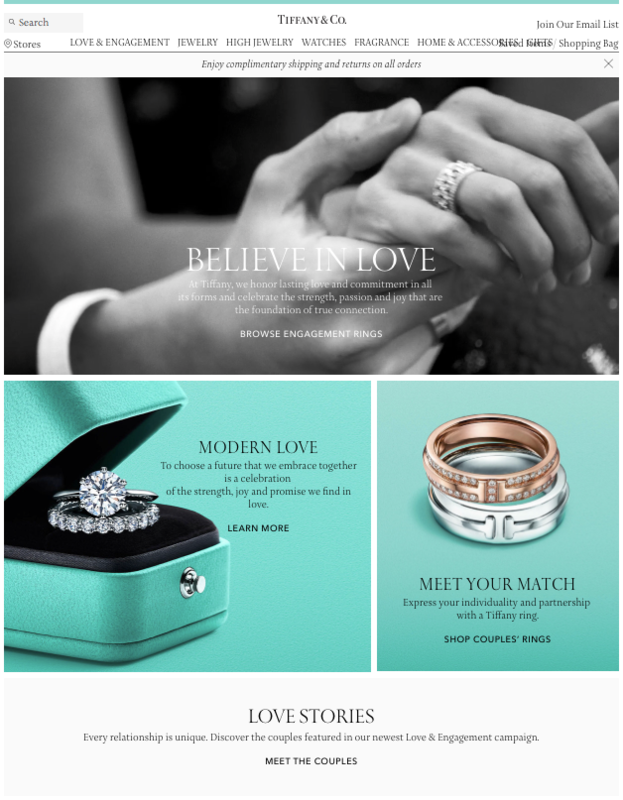 Their theme's color is tiffany blue, which is a famous color that can represent their brand. Their jewelry boxes are all tiffany blue, also. Their brand positioning and brand image are really clear. Next, let's talk about Pandora's website page. Their website also has a detailed and clear category that customers can easily find the stuff they want. 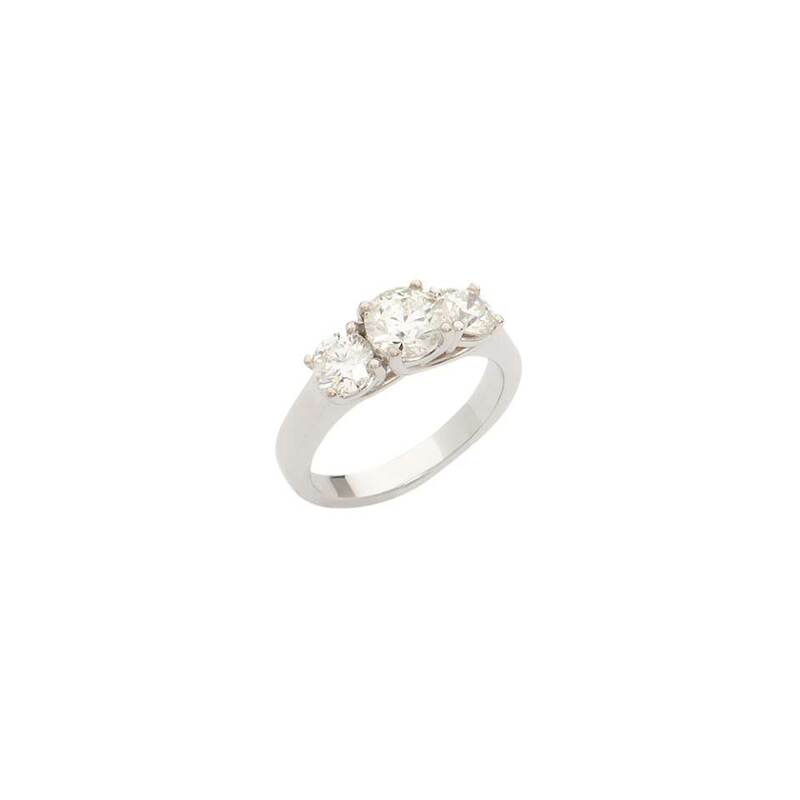 In addition, high-quality photos are extremely important for luxury jewelry website, which can change their brand image. Their homepage also uses some bigger photos instead of multiple small ones to attract people for some specific products. 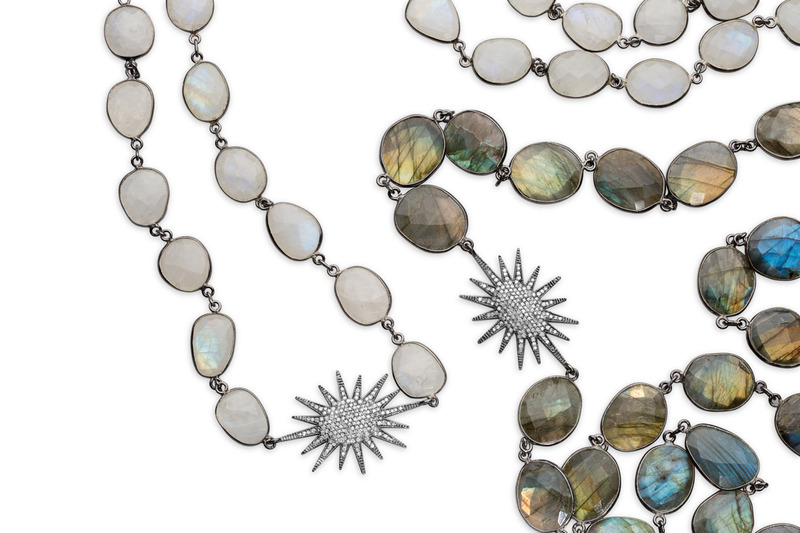 Like we mentioned above, high-quality photos can have a huge impact on your jewelry business. Depending on your specific brand image, you might have different requirements for the photos. For instance, some businesses might want their jewelry photos with shadows. On the other hand, another group of people might want their jewelry photos to be really neat and clean. Therefore, communicating with your photographer is really important. In addition, you have to make sure all photos are consistent with one another. Before starting your business, do you have a clear idea of your target audiences and brand position? Based on different target audiences, you will have different marketing strategies and tactics. For instance, if your target is a younger generation, you might want to put more budget into digital platforms such as Instagram and Facebook, instead of traditional media like newspaper or magazines. Additionally, you have to do a lot of research to know different groups of people's consumption habit and consumer behaviors to know if they will be your potential clients or not. To conclude, there are many factors will affect your business performance. Besides the points we mentioned above, there still are a lot of different aspects you have to consider. Need a professional photographer? We are here to work with you. - We do stunning works with affordable rates. - We provide high-quality photos. - All photos we delivered to you are all ready to be used. - Jeff is innovative! Need some fresh style or the classic one? He can do both. - Convenient location: our studio is located in Manhattan on 5 Ave & 16 street, which only needs 2-minute walk from Union Square. - Flexibility: you can easily send your jewelry to our studio or bring it to our studio directly. 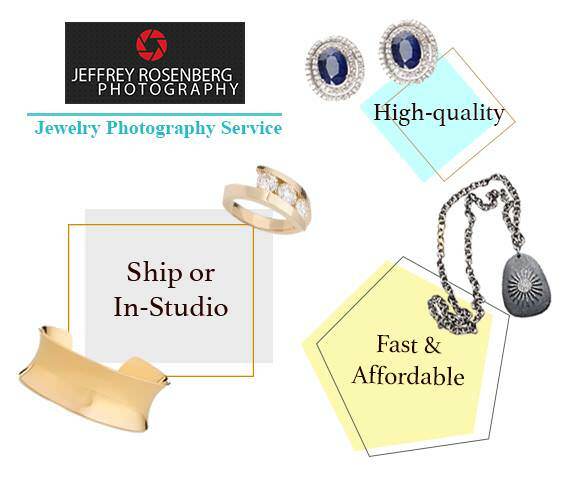 Want to know more about Jeffrey Rosenberg Photography? If you like our photography style. You can simply fill out the form or leave a comment below. We will reach you ASAP!